In Life Among the Dead, Lisa invites readers into her extraordinary life, from her childhood in Birmingham, England, where her grandmother -- also a renowned psychic -- encouraged her to respect and nurture her talent, to her decision to move to Los Angeles, where her smash-hit Lifetime television show quickly made her one of the world's most beloved mediums. Lisa shares memories of her earliest psychic experiences and her gradual acceptance of her gift, and recalls many of the amazingly accurate communications she has shared with believers and skeptics alike. In her compassionate, down-to-earth style, she reveals exactly what it's like to live surrounded by spirits every day, and she recounts the joy she feels in bringing solace to those who have lost someone dear and the insights she has gleaned about spiritual phenomena, hauntings, psychic healing, and the afterlife. 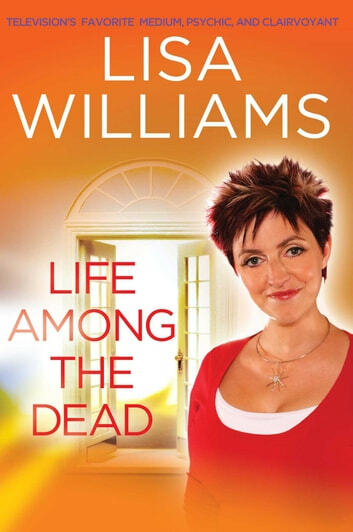 Warm, witty, and surprising, Life Among the Dead is a wonderfully intimate account of Lisa's life as a medium, healer, wife, mom, and TV star who has already won the hearts of millions, a woman with an astonishing gift for seeing beyond the ordinary and into a mysterious and fascinating realm.